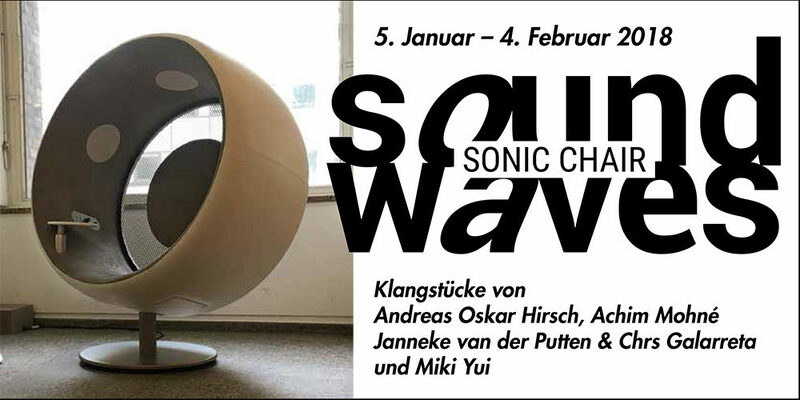 Soundwaves: Four sound pieces for a Sonic Chair, cuba-cultur, Achtermannstr. 12, MÜNSTER, Germany. Free entrance. Curated by Georg Dietzler. As part of the sound art series soundwaves*, curated by Georg Dietzler, four sound artists composed each one piece for a loudspeaker design-furniture, a 350 degrees revolvable sonic chair sc01, first model range from 2008. Similar to a music instrument, the form of the sonic chair is determined by the acoustics: sitting at the centre of the sound supports the spatial perception of the recording. Whereby, the deep frequencies are transmitted to the listener’s back by a structure-borne sound membrane. Loudspeakers in the sonic chairs canopy all together generate a special listening experience more for the person sitting in the chair than for the ones being close by. Raw field-recordings, no electronic effects, of sound research inside the 500 meter long Maastunnel in Rotterdam/NL, running under the Maas river. The space is explored through different experiences and ways of listening: by doing sound-walks and performative interventions, and by recording sounds that are sometimes (in)audible to human ears. The recorded mechanical sounds were produced by people and machines in the tunnel, making audible the hidden ‘voices’ resonating in the tiled tunnel architecture. *The sound art series soundwaves, curated by Georg Dietzler, presents loudspeakers as instrument, staged in- and outdoors in special listening settings. It does include various private consumer home loudspeaker systems, the sonic chair sc01 listening furniture, a DIY speaker-sculpture, new speaker inventions and speaker sculptures as part of current sound research and material science. In staged speaker arrangements audience experience impacts of architectural building materials, room acoustics, acoustic reflections, listening at public sites, etcetera.